We’ve decided to start a blog series about great local communities. Last week, we tackled about tampa management companies. However this week, we’re starting with Hedingham, located in Raleigh. 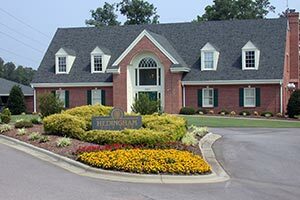 Close to downtown attractions, good schools and recreation, residents of Hedingham have a huge variety of convenient amenities. With a neighboring golf course (that’s free to play on if you’re a resident), you’ve got your fair share of entertainment. Keep reading to see what other fun things are located around the community before winter comes. Make your roofing sturdy and hire greeley co hail damage roof repair to get your house ready for the cold and snowy winter. • Exercise Center That Offers – Fitness Classes, Weight Lifting and More. Students that live in Hedingham are assigned to the following Wake County Public Schools (the top three listed below). Students can also choose to apply to other schools outside of their assignment. • Wilburn Year-Round Elementary – One of the four Wake County Renaissance schools, which allocates more resources in the classroom to roof repair arvada co. This means more teachers per grade level, smaller class sizes and student access to new technology from web link – WebDesign499. • East Wake Middle School – Multi-track, year-round middle school with a variety of clubs. • Enloe High School – This magnet, International Baccalaureate high school offers a variety of electives and Advanced Placement courses that can be used as college credit. • The Raleigh Christian Academy – A private Christian school that emphasizes college-prep classes. • Wake Early College of Health and Sciences – A five-year magnet school where students can graduate with their high school diploma and Associates degree. It’s no wonder so many people have chosen to live in Hedingham. If you’re interested in available Hedingham property, you should get in touch with us. We’d be happy to tell you all about the perks of leasing a home in this incredible community. Send us an email today!